This article was posted on 26th January 2016. Whilst covering the impeccably stylish Michelle Ogundehin's maternity leave as acting editor-in-chief for Elle Decoration UK, Tina Gaudoin said, "It's a given that most of us love being in bed (no matter what we do there), which is why, as the nights draw in, we devoted a whole issue to all things cosy, warm and sleep related." 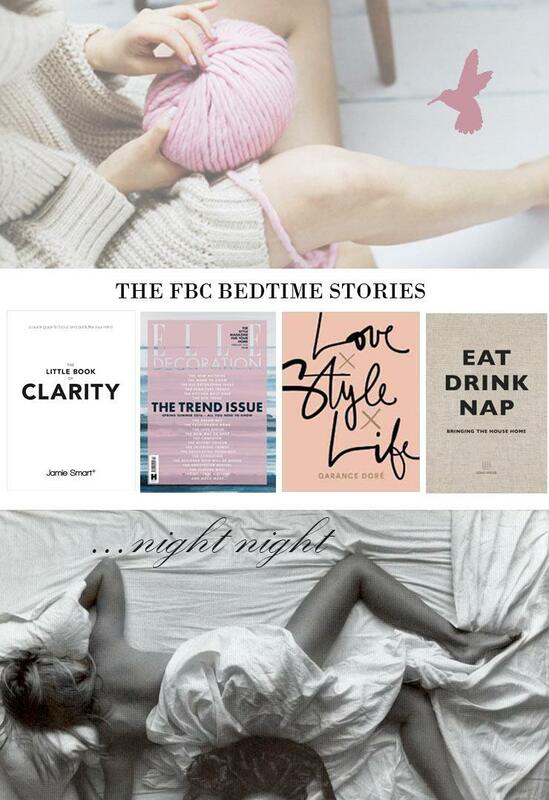 We couldn't agree more with the style bible's temporary matriarch and thought it about time we too focused on the thing we, at The FBC, love most and do best: the world of sleep - our beautiful French beds and all the wonderful accoutrements that go with, to ensure a good nights sleep. With the average person spending a third of their life sleeping, if they're lucky these days, and with sleep disorders on the rise (it's estimated that 25% of the UK's population suffers from some form of sleep disorder) - the importance of creating a comfortable, serene retreat is more important than ever. We've compiled some handy tips on how to get the best night's sleep possible and the perfect products to help you into a slumber to rival Sleeping Beauty's! 1. Our work/play lives have started to merge into one, there's the exciting lure of social media at our finger tips and the 24/7 shopping possibilities - it's therefore no surprise to find that a majority of adults will be surfing the web, texting/emailing or catching up on their latest box set prior to attempting to sleep. BUT, and here's the science-y bit - when we’re exposed to artificial light, between dusk and bedtime, our bodies are blocked from being able to recognise day from night, according to the New York Times, and that suppresses the release of the sleep-promoting hormone, melatonin. And that glow from our gadgets, even a mere hour before bedtime - a pivotal moment when we transition from the day's activities to night time relaxation - can keep us awake long into the night, and affect the quality of sleep we get when our head finally hits the pillow. So, try cutting down on those gadgets for an hour before bed - grab a good book (see below for what the girls in the office are currently reading), some knitting or switch on the radio, for a peaceful journey into the land of nod. Get knitted out with the Wool & The Gang Collection - you'll have a chunky-knit cardi and matching beanie in no time; The Little Book of Clarity; Elle Decoration; Love, Style, Life; Eat, Drink, Nap. 2. Is it time to replace your pillows? Without the comfort and support of a dreamy pillow you may find it difficult to get into the zzz zone, so here's a quick tip on how to check if your pillows are up to the job: hold your pillow in front of you with both hands holding firmly onto the long sides - if it flops over rather than standing up, it's time to shop for a new pillow. The Sleep Council recommend that pillows are replaced every two years. 3. Have a ritual. We're told with our babies "get them into a routine", what makes us, as adults, think we're any different? Our favourite ritual is lighting a few scented candles (see here for which candles are best suited for bedtime), gently cleansing off the day's worries (and make-up) with our hot-cloth cleanser and having a warm soak in our fave bath oil - before, of course, climbing into our French Beds (with the recommended firm mattress!). We're also trialing this new 4-7-8 sleep method - to get you to sleep in 60 seconds! 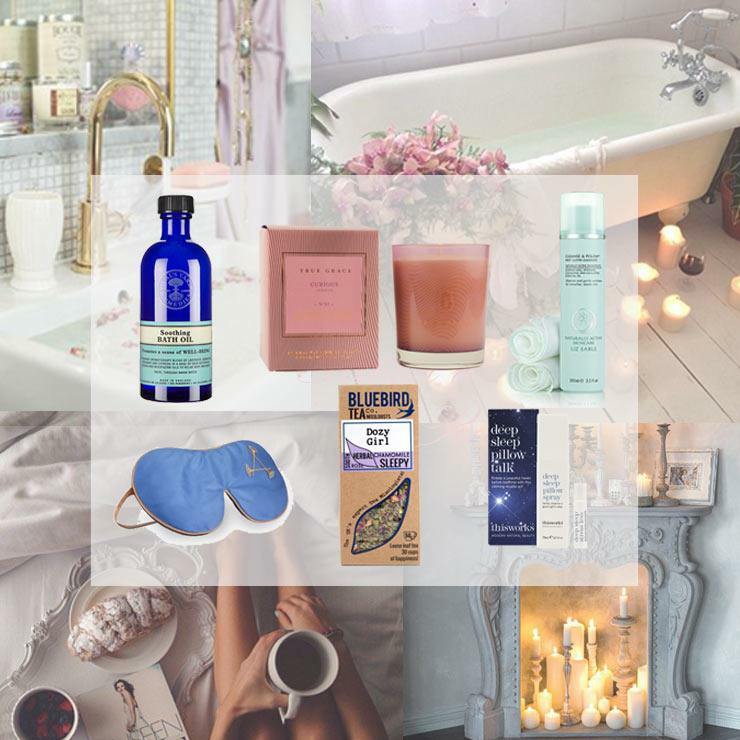 Neal's Yard Soothing Bath Oil, £15; True Grace Curious Rose Candle, £28; Liz Earle Cleanse & Polish, from £15.50; This Works Deep Sleep Pillow Mist, from £16; Dozy Girl Tea from The Bluebird Tea Company, from £4.95; Aromatherapy Associates Relax Eye Mask, £47. We couldn't dream of sleeping anywhere other than our divine French Beds - laden with luxury, crisp, bed linen; soft, cosy throws and downy pillows. We've scoured the globe to ensure that when you come to The FBC it's not just a beautiful bed we can help you with, or a whole bedroom of stylish goodies, it's a lifestyle and a collection of handpicked lovliness which will help you on your way to a serene slumber. 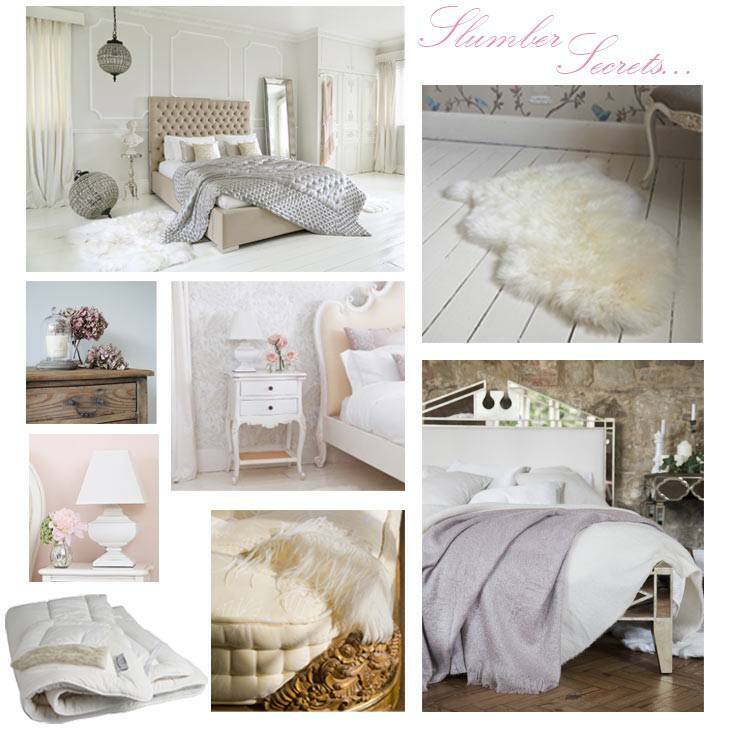 The Boutique Bed; Ivory Sheepskin; Antique Venetian Bed including Axelle's Pretty Throw; Our Luxury Mattress Collection; Devon Duvets Mattress Topper; Squat Shabby Chic Table Lamp; Provencal Two-Drawer Bedside Table; True Grace Candle Collection.